The Small Sebenza 21 with Bog Oak wood inlays and stainless ladder damascus steel is an elevation from a fine everyday carry tool to a work of art. This Sebenza 21 folding knife build features two upscale materials on the precision workmanship and build quality of a Reeve Sebenza. The 3" drop point blade on the small sebenza features the hand-forged craftsmanship of Devin Thomas. 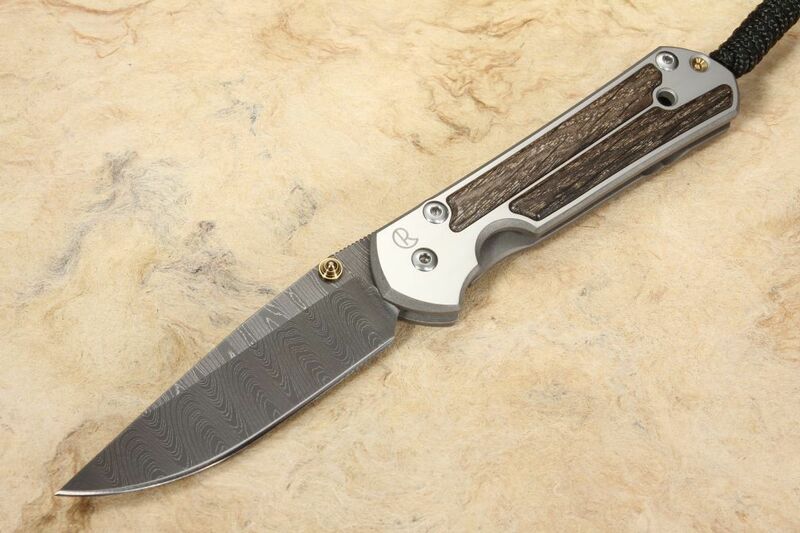 The hollow grinds and etching reveal the stainless ladder pattern damascus steel. The knife opens smoothly one handed with the gold anodized titanium thumb stud, and holds nicely in the hand with blade spine jimping. The sebenza handle with it's upscale Bog Oak inlays and satin finished flats is ruggedly built on aerospace grade 6AL4V titanium. 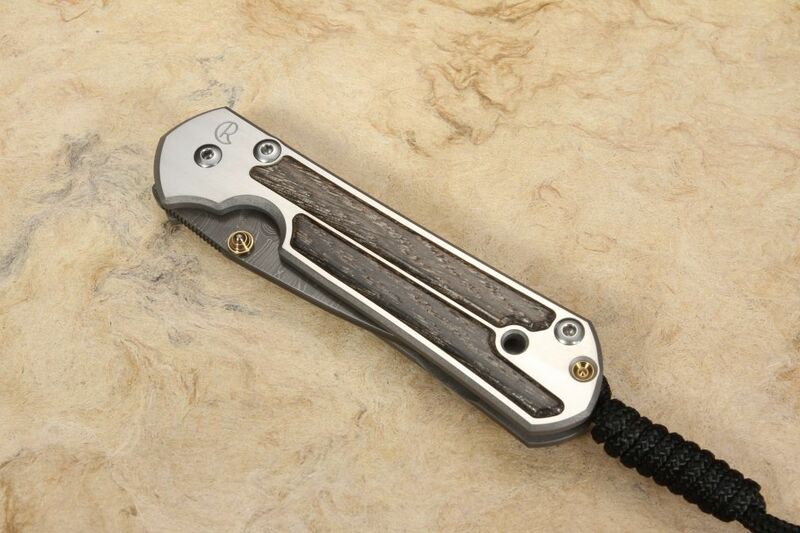 The knife has a titanium pocket clip that is mounted for tip up carry and easy access. 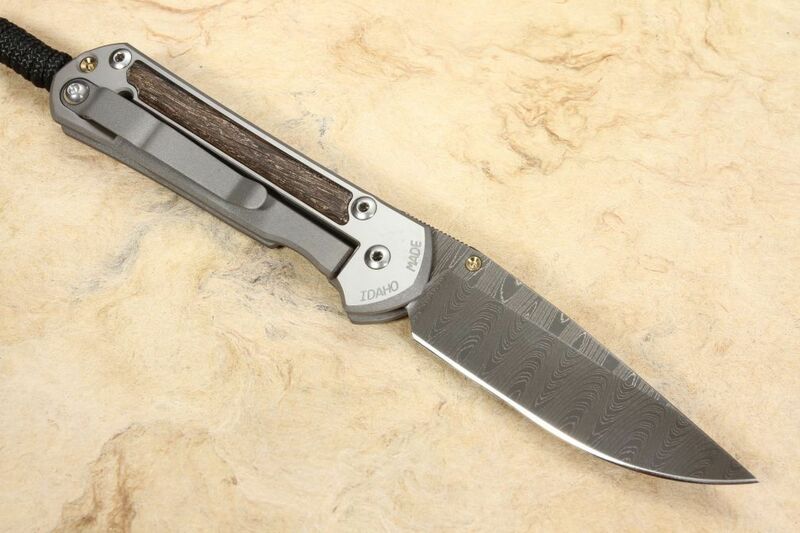 The framelock on the folding knife is bank vault solid and precise. 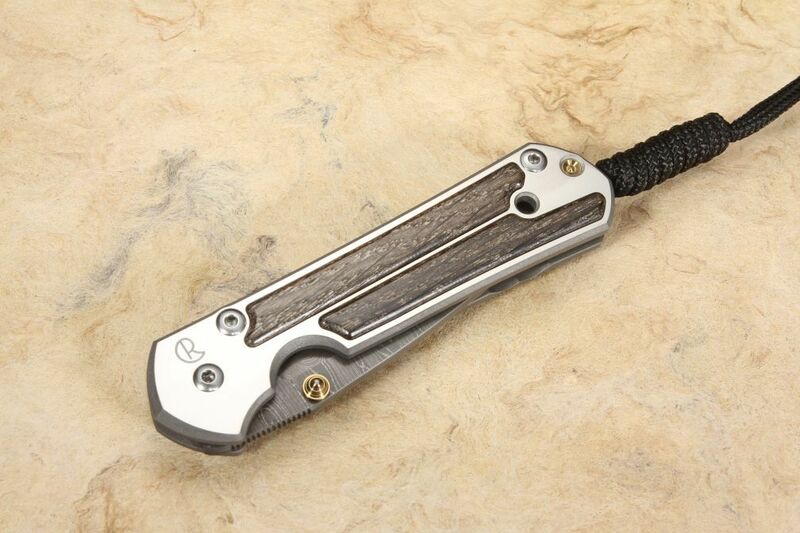 The knife comes with a braided cord lanyard and an attractive calf skin leather slip case for protective pocket carry.